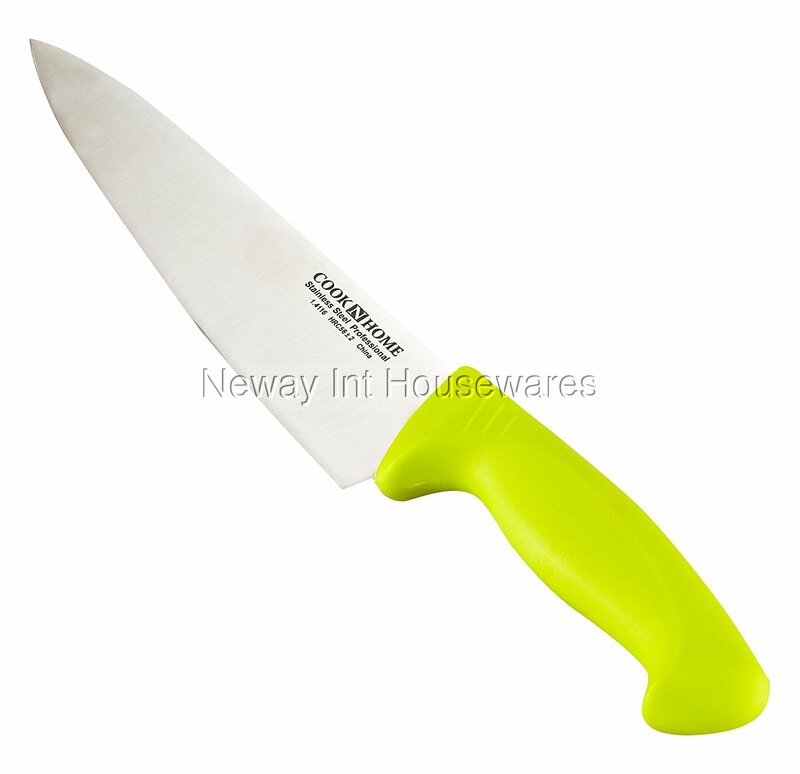 ​The Cook N Home 8-inch Multipurpose Chef's Knife Stainless Steel, Green is designed for chopping, slicing, dicing, and many other uses. The knife is German engineered and made of stainless steel that provides durability and balance. Handle is shaped ergonomically for comfort and ensures a firm grip. Please wipe dry immediately after wash. Please do not soak in water for a long period of time. The item has a 1 Year Hassle Free Replacement warranty through Cook N Home.